A Lakeland stone Victorian guest house built in 1892. Offering bed and freshly cooked breakfast. 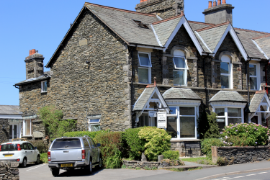 Brook House is centrally located in a quiet part of Windermere with a relaxed friendly atmosphere. Accessible with or without a car and close to all amenities rail/bus station, shops, bars, restaurants and cinema. 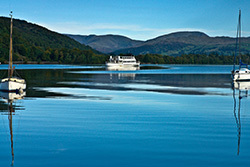 A perfect base for exploring the Lake District. 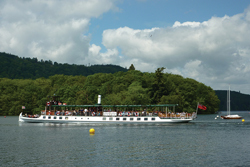 With Lake Windermere just a 15 minute walk away, or take a seat on a mini bus to tour the mountain passes. 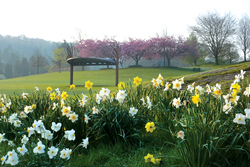 Guided walks are also available.